Fort Nelson First Nation's Traditional Territory has a rich Dene and Cree cultural heritage, with 10 major village sites where the 14 major families of the region would trade and share among themselves, and with families from neighbouring Nations as well. In 1910, our ancestors signed onto Treaty #8 with Canada. In exchange for the guarantee that we are free to live our lives as formerly and undisturbed by newcomers, our ancestors agreed to share our lands and to live in peace with our new neighbours. It was understood that peace could only come if we were each left to travel our own path as we walked toward a common future. Many things have changed in 100 years, and at times the spirit of the treaty has been forgotten by our new neighbours, but our understanding of the treaty relationship remains, and will remain "as long as the sun shines, the river flows, and the grass grows". 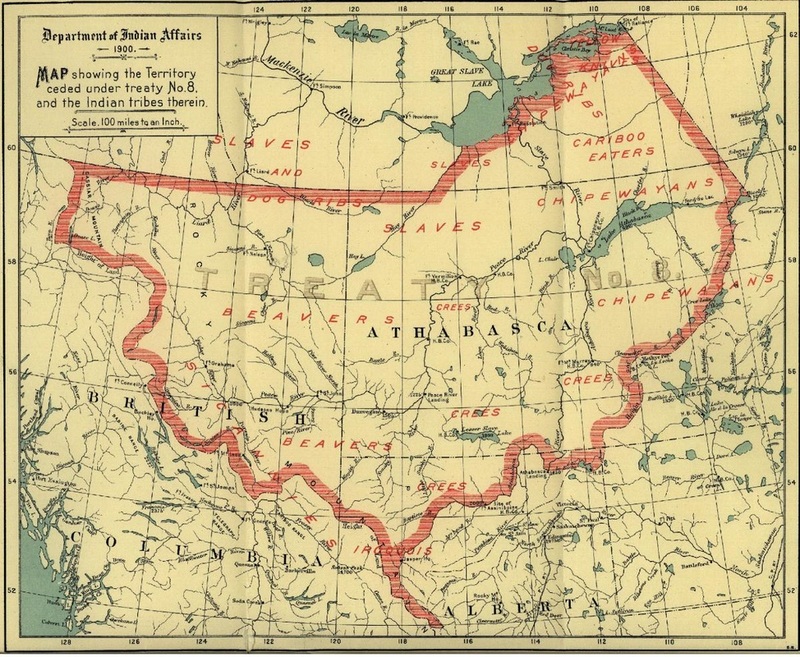 The map below shows the territory covered under Treaty #8 from the Department of Indian Affairs circa 1900. The oil and gas industry has severly impacted natural and human ecology over many decades. Fort Nelson First Nation community members have frequently expressed their concerns about the contamination of traditional foods, disturbances to wildlife and the habitat they depend upon, damage to fish-bearing streams, and the impacts on the appearance of the land. Elders speak longingly of a time before the environment and the bush life it supported were transformed by the arrival of the oil and gas industry. In recent years, their fears have risen as gas producers target so-called shale gas through a process they call fracking. Deer River water flow - 2008 - 2012 from fnfnlands on Vimeo.